I have absolutely no doubt that it will be the best driving game ever, period. First Axiom of Racing Games - a racing game that is playable with an arcade-style controller cannot be the best racing game ever, no matter how pretty it looks. GTR is not playable with a keyboard, i.e., you can never get good lap times with a keyboard. If you can get good lap times in Gran Turismo with an x-box style controller, the software is fudging the input to make up for the fact that it ain't a wheel. Llamas rejoice. But, I don't suppose you console-kiddies will ever understand. P.S. Of course, this doesn't mean I won't try it next time we're up. . .
GTR is not playable with a keyboard, i.e., you can never get good lap times with a keyboard. Hmm, well, I wasn't getting terrible lap times in GT Legends with my Xbox 360 controller. I'm not convinced your theory holds up. Happy to put your theory to the test, at your convenience. i'll go get it and then beat the crap out of you ! what was the name again ? Well... a challenge from Morghen! I think that is an open invitation for all us guys! 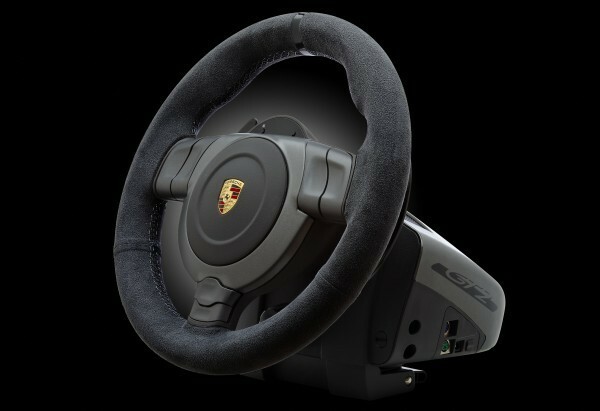 Looks like I'm going to have to dust off the old steering wheel and foot controls, hold on a second... it has a serial connection looks like I'll have to buy a new one. Bargain of the century currently is to buy GTR2 - GOTY Edition, which includes GT Legends. You can then download, for free, Power and Glory mod, which beautifully combines the two of them into an awesome classic car fest, with tons of Porsches. Let me know when you have it dialed in. . .I can run a server from here, and rainy season is approaching here in Puddletown. OK, I was convinced to buy rFactor. It's a 'net download, about 1GB. Only CDN$40 but all upgrades are free after that, apparently, so it seems good value. Just got it last night and have only done a few laps but the physics seem quite good. At first glance it seems the detail/realism involved in setting up cars is very good, too. Visually, it doesn't really have the stunning detail of, say, some of the console games. But the frame-rates are excellent in HD, even on my slightly downmarket computer, and it's still very involving; I was bombing around the Montreal GP track in the '07 BMW F1 car and was quite convinced by the sensation of speed. No 924 available that I know of. But they do have 914's and I'm sure Rasta will be pitting his against my newly acquired BMW 2002 in the very near future. Feel free to join in, the more the merrier! Pretty good stuff, and as Khal said, there are hundreds of free mods and tracks out there. . .nearly anything you can imagine. I have found it one of the best values for gaming on the market. I have been racing with Rasta on the link he posted for a while and the cars are good as well as the rest of the drivers. It is a fun race, they throw yellows a couple of times a race to bunch everyone up again, and really the contact is minimal. Great racing. We should see if we can find the British 924 challenge somewhere on line for this game. They should have it somewhere. Unless you're near Mike when he starts "rotating." I only rotate when given a bit of a nudge. Rasta likes to nudge me. I also have GT5. Mere hours till I can get home and play it. This will be the best racing video game ever. My cockpit is built, G27 bolted in, playstation eye connected for head tracking. No sleep! ...playstation eye connected for head tracking.